Driven by her desire to help build stability through economic development, Dr. Petra Seidler has spent more than two decades trying to bring peace to countries during or after war or a natural disaster. As change management consultant for JV Grontmij-GOPA-INTEGRATION, a civil engineering company in Wandlitz, Germany, Dr. Seidler provides independent finance and management, consulting services, executive management, utilities and infrastructure development, and public relations and media management. She is working in countries such as Afghanistan, Armenia, Ukraine, Uzbekistan, Tajikistan, Egypt and Syria as a government-level project manager in donor-financed projects. From 2006 to 2010, Dr. Seidler was the project director and change management consultant for the corporatization and commercialization of the new Afghan national power utility “Da Afghanistan Breshna Sherkat” (DABS), which, today, is a company with more than 6,000 employees. The work was funded by the World Bank and the Asian Development Bank. Since then, Dr. Seidler has been working on rebuilding infrastructure like the power sector, water supply, road construction, irrigation and flood protection and school construction in six northern provinces of Afghanistan. The funds are being provided by the German government through the German Development Bank KfW. Dr. Seidler is successfully serving as a team leader and the head of the Regional Infrastructure Development Fund Programme, which is dedicated to both infrastructure development and capacity building. One of the highlights of Dr. Seidler’s career was timing the contracts between Afghanistan and Kazakhstan to bring electricity to Afghanistan. Watching the lights go on in Kabul and knowing what a difference this would make in the people’s lives was extraordinary. She is also proud of the fact that she recently opened the Dr. Petra German Medical Clinic in Afghanistan to offer general practice and surgery. 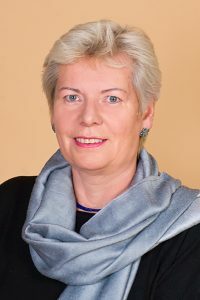 To prepare for her long and distinguished career, Dr. Seidler earned a dual PhD in international economic relations and finance credit procurement from the European University at St. Petersburg. She is a Russian chartered translator and interpreter and a certified expert of consolidation. She is fluent in German, English, and Russian, and also speaks basic Dari. In recognition for her achievements, Dr. Seidler earned several commendations including the Silver Medal of St. Peter of Honour from the Russian Orthodox Church in 2008 for charity and for founding and implementing the Easter Music Festival in St. Petersburg from 1992 to 1998. Further, she is featured among Elite Women Worldwide and as a Top Female Executive, and has received the Who’s Who Lifetime Achievement Award. She attributes her success to being a results-oriented individual and to her recognition and respect of cultural diversity. Moving forward, Dr. Seidler wishes to continue the project in Afghanistan. She would also like to write, teach, and mentor children as well as to seek great challenges. If she could offer some advice to the younger generations, it would be to take responsibly for failures, learn from them, and move on. In her spare time, Dr. Seidler enjoys writing, swimming, diving, painting, and music.